The festival, now celebrating its 15th year, features acclaimed local, national and international artists from around the world. CBC Vancouver is a proud sponsor of the PuSh International Performing Arts Festival, one of Vancouver's signature cultural events. The festival, now celebrating its 15th year, features acclaimed local, national and international artists from around the world. It takes place January 17 - February 3, 2019 at various venues across the Lower Mainland. As the public broadcaster, CBC Vancouver embraces diversity, creativity and inclusiveness - all of which are elements of PuSh Festival. The 2019 festival presents a wide variety of work in the live performing arts: theatre, dance, music, and various forms of multimedia and hybrid performance, and features talent from 13 countries, including Japan, Guatemala, Canada, and Belgium. 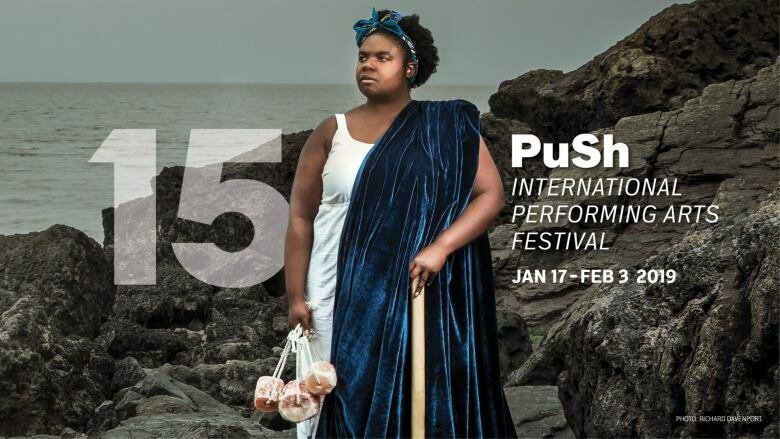 Highlights of the 2019 PuSh Festival include six world premiere performances, and eleven Canadian premiers featuring works by ASUNA, Dancenorth Australia, and Liu Kuan-Hsiang. New for the 2019 season is Club PuSh - a platform for the festival's most edgy and experimental work located in multiple spaces across Vancouver. PuSh Passes and tickets for the 2019 PuSh Festival are on sale now.